IT credibility is not simply based upon IT’s ability to implement new technologies or support major business initiatives. Keeping end users productive on a day-in, day-out basis is equally if not more important in establishing IT’s reputation. Many IT organizations struggle to win the hearts and minds of their fellow employees. IT team members work as long and as hard as their business peers, often behind the scenes. Yet, while senior executives may publicly praise their accomplishments, they somehow always end up being the Rodney Dangerfields of their companies: they simply can’t get any respect from their peers! Why not? The reason IT can’t garner the respect it deserves is simple. End users inevitably encounter personal IT issues in trying to perform their jobs. These issues disrupt their plans, consume their time, and may even undermine their ability to meet their commitments. No matter how successful an IT group might be in implementing new technologies or delivering major projects on time and on budget, chronic end user issues inevitably produce deep-seated concerns about the competence and efficiency of the overall IT organization. While it might be exhilarating to celebrate some of IT’s recent accomplishments, it’s likely more useful to acknowledge our chronic end user failures. Perhaps renewed focus on these failures will motivate us to concentrate more attention on their resolution and ultimate eradication. The problems listed below have been experienced by employees in almost all companies to one degree or another. Admittedly, some enterprises have made significant progress in resolving several of these problems, but few – if any – can claim to have resolved them all. Does anybody like passwords? At best, they are a nuisance. At worst, passwords are a nightmare. Employees constantly complain that passwords are too long and too complex to remember and are not properly synchronized across multiple applications. Furthermore, they complain that they are asked to enter and change passwords far too frequently, wasting their time and distracting them from real work. Certain passwords are only used occasionally, triggering scavenger hunts for the written note or slip of paper where the password was originally scribbled in haste. It’s embarrassing to admit, but computers have been used in the workplace for almost half a century and we still haven’t resolved the chaos surrounding password management to the satisfaction of our end users. In many cases, we’ve actually made things worse! IT groups thrive on trouble tickets. They organize their support practices around the management of trouble tickets. End users typically hate them. The first response of most Service Desk technicians to an end user query is: ‘have you opened a ticket yet?’ Half the time, the answer is ‘yes’ and the end user becomes doubly frustrated because they feel they are starting the reporting process all over again. Another typical user complaint is about the lack of follow-up communication from IT concerning the status of their tickets. Some organizations have tried to address these complaints by developing automated work flow routines that send email updates to end users every time a ticket is touched or transferred within IT. This is akin to rubbing salt in an open wound: the user’s problem is still not being resolved and they are being deluged with emails documenting the IT department’s lack of progress! It’s worth noting that enlightened IT shops have established walk-up service desks in highly trafficked areas to make it easier for users to interact directly with support technicians without submitting tickets. This immediacy and personal touch has been universally acclaimed by end users. In a perfect world, distribution lists are always accurate and easy to construct. Employment statuses, job titles, cost center assignments and organizational reporting structures are maintained and quality-controlled on a real-time basis. In a perfect world, accurate distribution lists can be dynamically created at the touch of a button! Unfortunately, no one lives in this perfect world and most distribution lists have a shelf life that can be measured in minutes or hours, certainly not in weeks or months. That’s why terminated employees and current contractors continue to be informed about company business or invited to meetings, while some newly hired employees are left out in the cold! Outside the workplace, individuals exercise unbounded freedom in leveraging the Internet to solve personal problems, make purchases, develop and maintain relationships, learn, weand amuse themselves. Subliminally, they expect to experience the same freedom – with a few modest limitations – while they are at work. Cloud Access Security Brokers (CASBs) provide a technical solution to this dilemma by employing configurable criteria to block employee access to different types of websites. This is a good thing because it takes IT out of the business of determining the business relevance of individual sites on a site-by-site basis. Unfortunately, the logic employed in configuring a CASB is typically different from the logic an individual employs in determining the sites they believe they should be able to access at work. 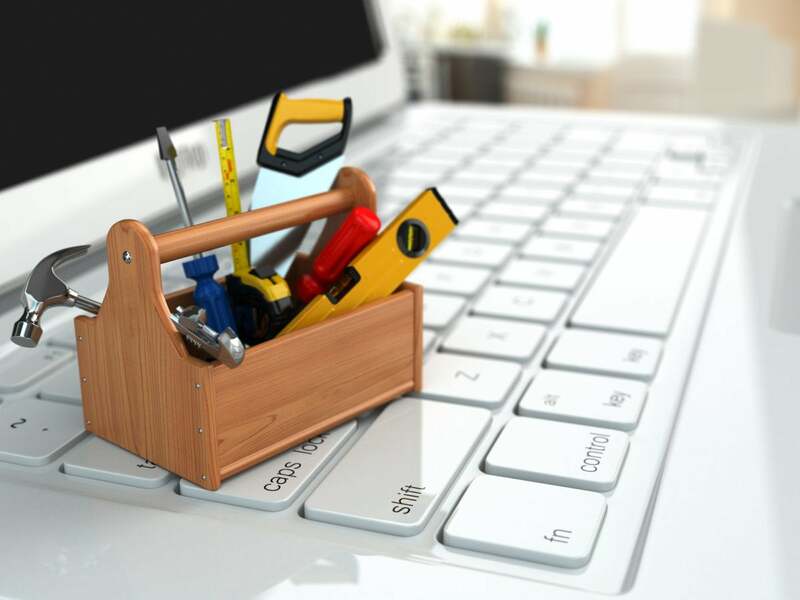 Calls to the Service Desk rarely resolve these frustrations because Desk technicians either don’t know or can’t explain the inner workings of the CASB tool to the satisfaction of the end user. This is the granddaddy of them all. By definition, a paper jam or empty ink cartridge never happens at a good time. Mechanical issues are an even bigger headache. Individuals who start disassembling printers to resolve mechanical issues frequently end up creating bigger problems than they started with! Printer frustrations have subsided in most organizations for two reasons. Printers themselves have been engineered to be more idiot-proof and they transmit health information that can trigger preventive maintenance before a problem actually occurs. The other reason that printer issues have waned in importance is the simple fact that people use less paper at work. The amount of printing performed in most companies continues to decline every year. IT executives who believe that the end users in their companies are not plagued by one or more of these issues are either blissfully ignorant of the extent of such problems, or unaware of the manual effort that’s being devoted to supplying users with temporary band-aid solutions. I encourage the readers of this column to share solutions that have worked within their companies (we could all use a little more credibility!) or feel free to add to this list.